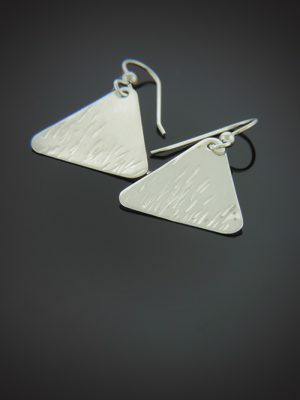 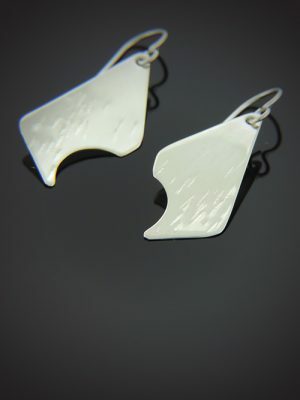 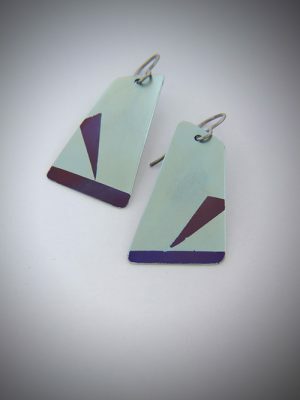 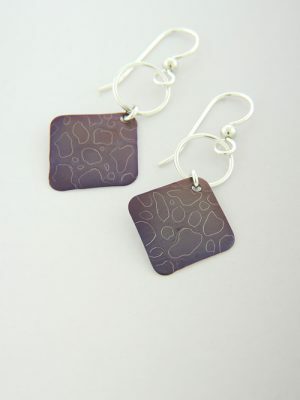 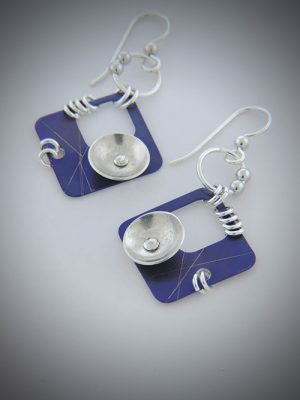 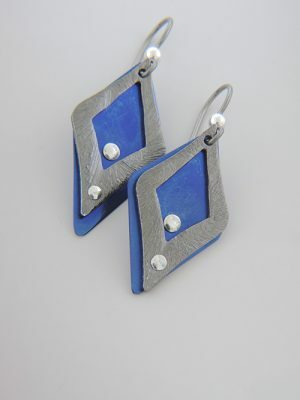 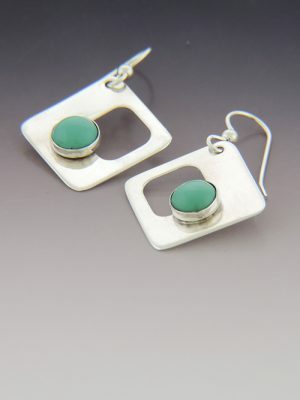 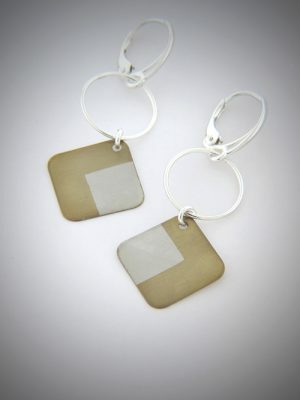 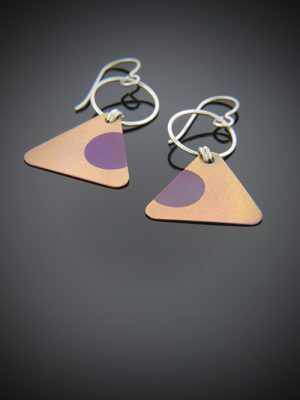 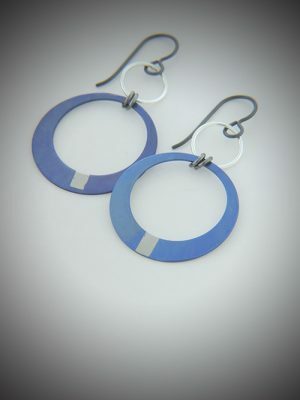 The metal earring collection features one-of-a-kind, handcrafted earrings in sterling silver, niobium, and titanium. 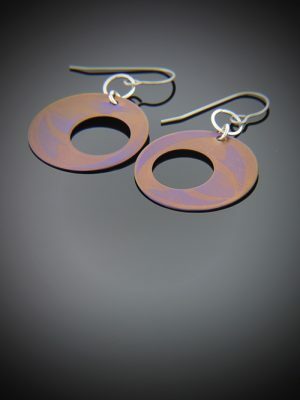 Patterns are achieved using a rolling mill where I cut out designs in paper and roll them through steel barrels with the metal. 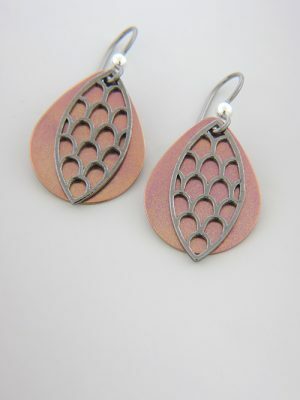 The pattern is then embossed into the metal. 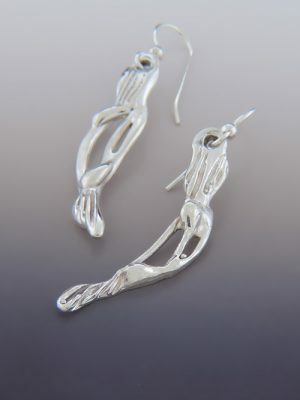 I also use hand hammering techniques and lost wax casting in sterling silver. 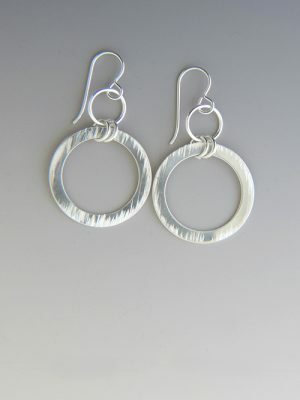 Styles may be similar but no two designs will be exactly alike. 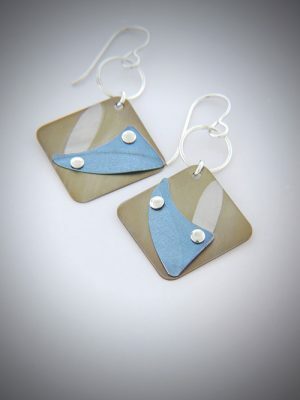 Each pair is handcrafted. 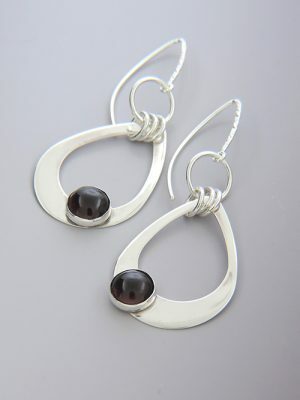 Ear wires include: Sterling Silver, Titanium, Niobium, and Argentium.